I'm having some significant problems with hunger right now. Let me give you the scoop. As part of my Precision Nutrition - Lean Eating Program, my homework and practice the last two weeks have been to let go of the eating schedule, the calorie counting, the planning. What is supposed to go in the place of that? And you know what I've realized? I have NO IDEA what it is saying. I don't know when I'm hungry. I don't know when I'm full. I'm so accustomed to eating certain amounts at certain times. And I'm just not good at this. Usually, when I'm not good at something or when I can't figure it out, I just try something else. I throw up my hands, say that it isn't working, and move on. But this time? I've made the investment in this program. From taking with other ladies in my group, I know I am not alone in this confusion and frustration. I trust the program, I trust my coach and mentors, and I trust myself to figure it out. But, crap, it is hard. I wait too long to eat and I can't get even satiated. I don't feel hungry and I feel guilty for eating even if I know I should be hungry and I want to avoid overeating. But I think what is the hardest is that I find myself thinking about food all of the time. Am I hungry? Am I not hungry? Am I satisfied? Does my body want to eat more? I just don't know, friends. But when I look at my day, I see a decently balanced day. I see a treat that I enjoyed over my 90 minute drive. I see fruit and veggies and protein. So, even though I'm still not sure what my body is saying, I'm not angry with it. I'm assured that I will figure this out. And this will be a way to respond to food that is more intuitive, more sustainable, and less restrictive. In the long run. Today is uncomfortable, but the rest will be better because of it. 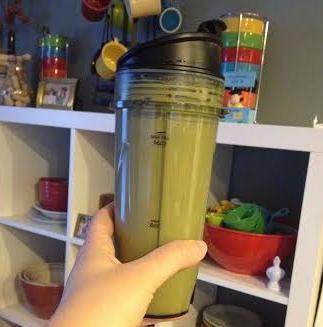 I started my day with my usual green protein smoothie. I swear, these things get me out of bed every morning. I was about half an hour past my usual snack time, so I wasn't sure if what I was feeling was hunger or just "hey! this is when you usually eat!" 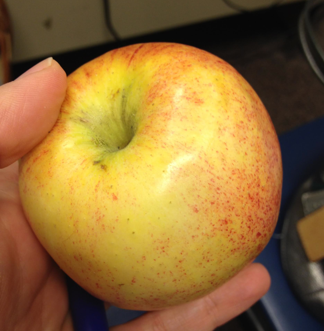 So I ate an apple from my purse. 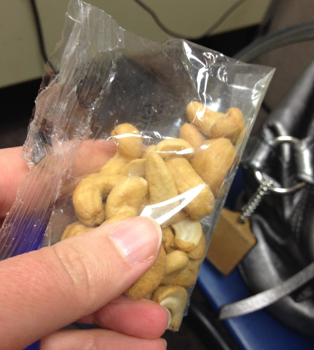 And then, because I truly felt hungrier AFTER the apple, I had some cashews. I had an amazing and impromptu opportunity to have lunch with Cassie. (Yes, THAT Cassie! I know! I'd be jealous of me if I wasn't me!!) I am so incredibly thankful to have that girl in my life. Sometimes you meet people that just get you, you know? She absolutely made my week. Oh, what I ate. 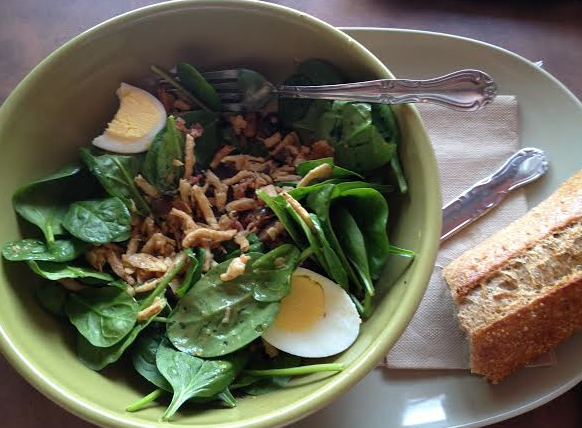 (focus, Krissie) I had the Spinach Power Salad from Panera. It is probably the tip top of my eating out favorites. 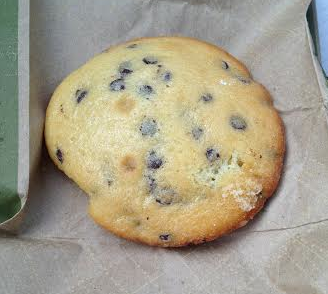 I got a chocolate chip muffie for the way home. It lasted me 90 minutes. I truly enjoyed it. 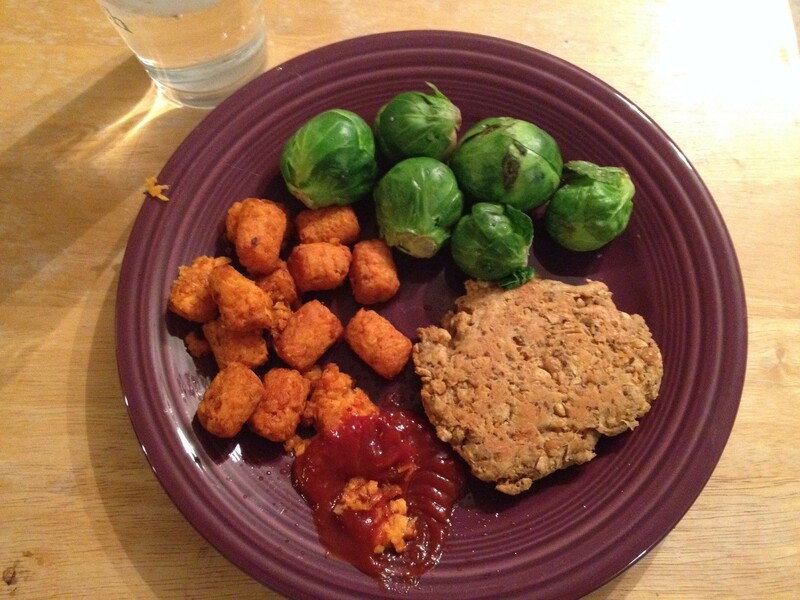 My #pilateaday buddies, Erin and Casey, had both made and enjoyed Happy Herbivore's Chickpea Cutlets, so I felt compelled to do so, since I trust them both so much. I was thoroughly pleased. Nathan said they tasted like a corn dog without the dog. That explains why I was so fond of dinner. 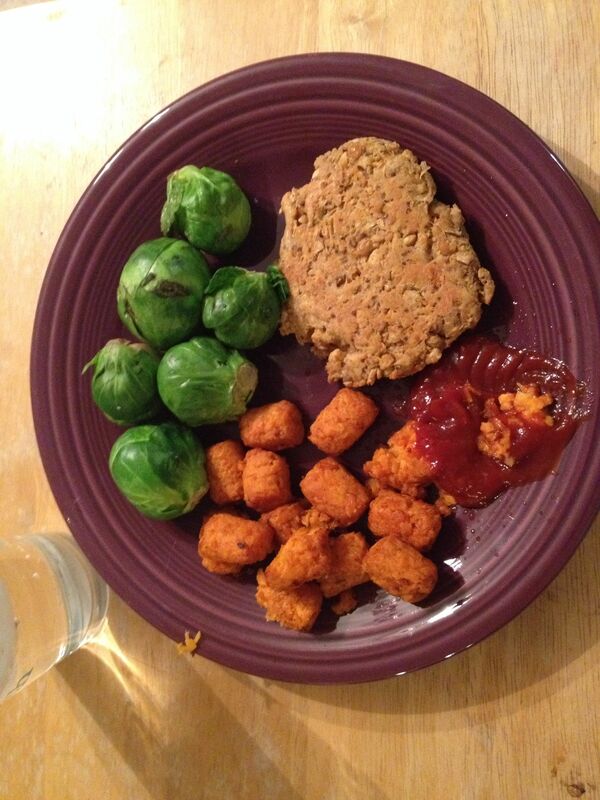 I'm not sure how a lone sweet potato tot ended up in the middle of the ketchup. But what I do know is that I felt full at dinner. I only ate one sprout and was like, "whoa! stop!" So that's progress. I really hope to have more "responding to hunger" progress to report next week. Fingers crossed! Have you heard about the coaching offering I am running next month? You identify your big, scary goal and then do one thing every day to make progress toward it. Forty intentional steps. Want to learn to cook? Write a book? Play an instrument? We'll work together - one-on-one and as group - to lay a foundation and get some serious momentum toward your dream. Click here for to learn more.